The state government has taken U-turn on Navratri and Diwali vacation. At present, the education department has taken an important decision from the government. Instructions given by the education department on Navratri Navaratri and Diwali vacation are optional. Schools can make vacation decisions according to their convenience. 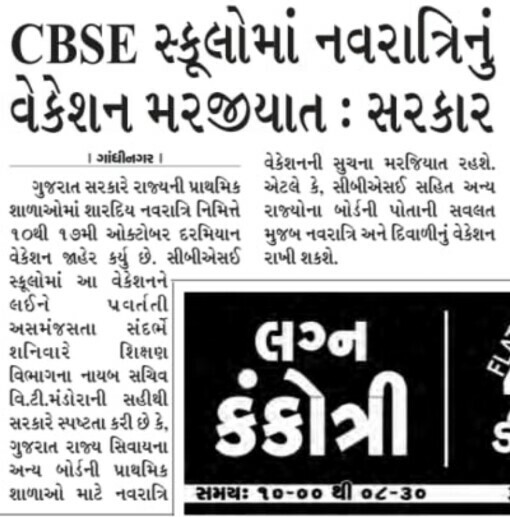 According to the information, the education department has made important clarifications regarding Navratri vacation in primary and secondary schools of CBSC and other boards other than Gujarat state on Navratri vacation starting from October 10 in the state schools. Apart from this, the Education Department has also instructed the Director of Primary Education to make necessary procedures for the implementation of the instructions in this regard. 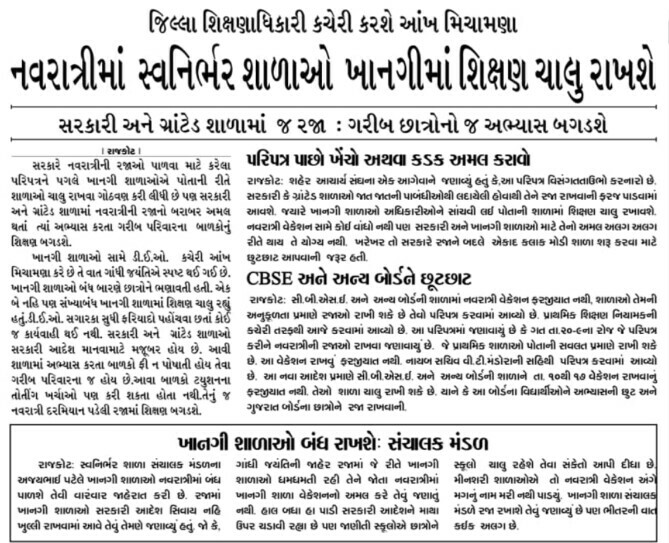 Now the education department has issued a circular saying that the CBSE located in the state. As well as for other primary schools and secondary schools other than the Gujarat State, it is desirable to implement the instructions of the previous education department for keeping the Diwali vacation during Navratri vacation between October 10, 2011 and October 17, 2012, and from November 5, 2012 to November 18, 2012. That is, such schools can keep Navratri-Diwali vacation according to their convenience.